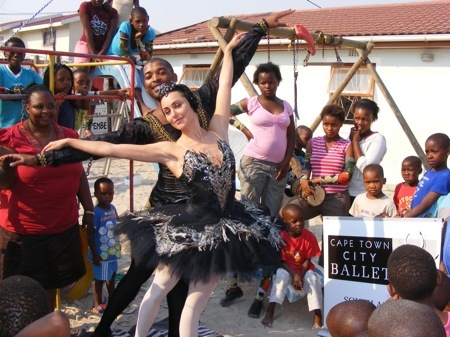 Mara's last performance with The Royal Ballet at The Royal Opera House Covent Garden was Mayerling on 13th of June 2013. 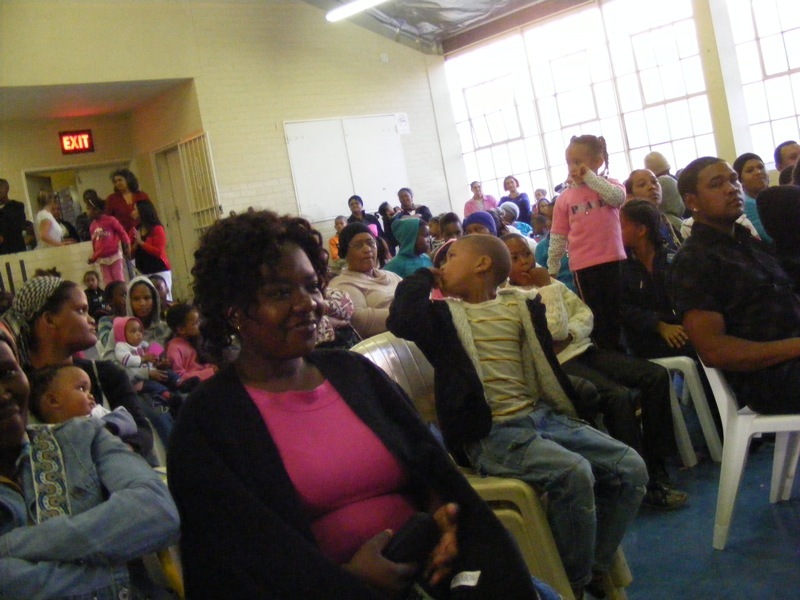 A community centre in the heart of SOWETO which gives support to children affected by AIDS :- Dreaming of the future and working towards it. 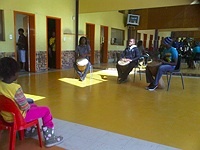 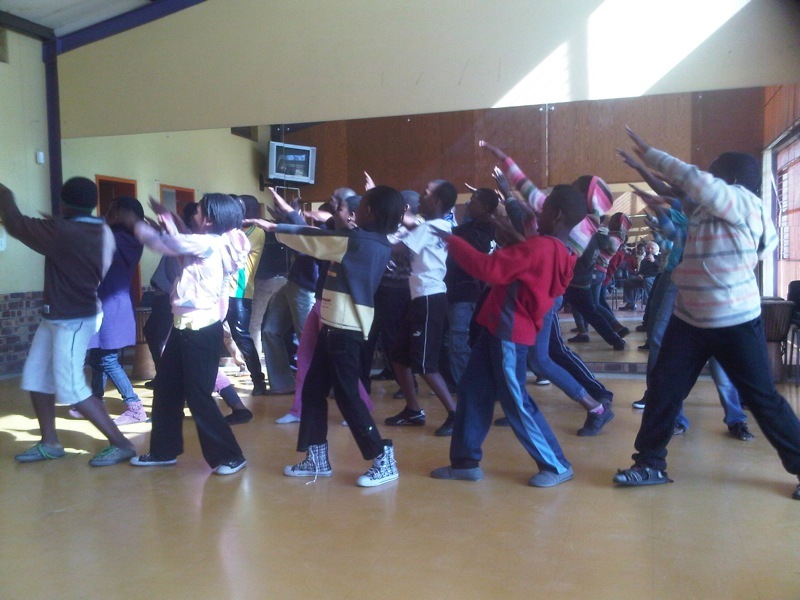 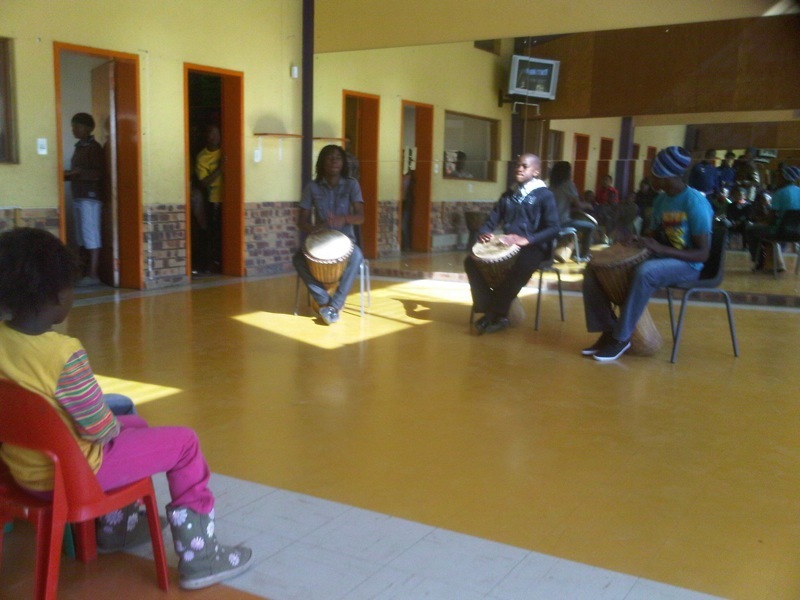 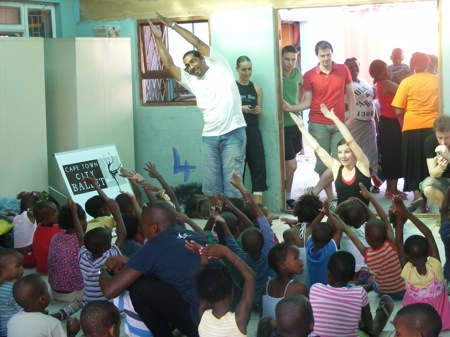 DANCING FOR THE CHILDREN funded a project by 'MOVING INTO DANCE' a dance school in the heart of downtown Johannesburg by which a dance teacher regularly visits RENALELONA and teaches these children 'dance' . 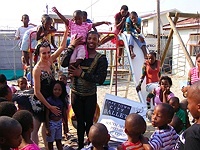 this has proved a great success and continues the initiative that Mara started there with our group of dancers from The Royal Ballet , when Anya Evans taught these very same children, as a member of our tour of South Africa in 2007. 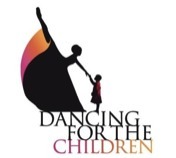 Anya sadly passed away recently but the continuing involvement of DANCING FOR THE CHILDREN in this centre is a living tribute to her enthusiasm for out little charity. 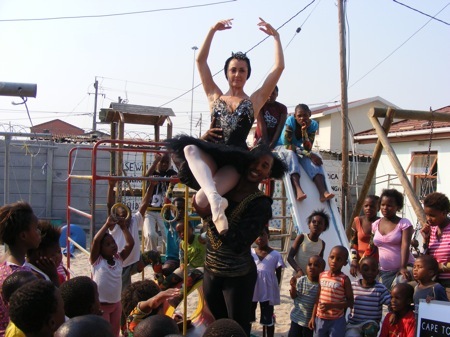 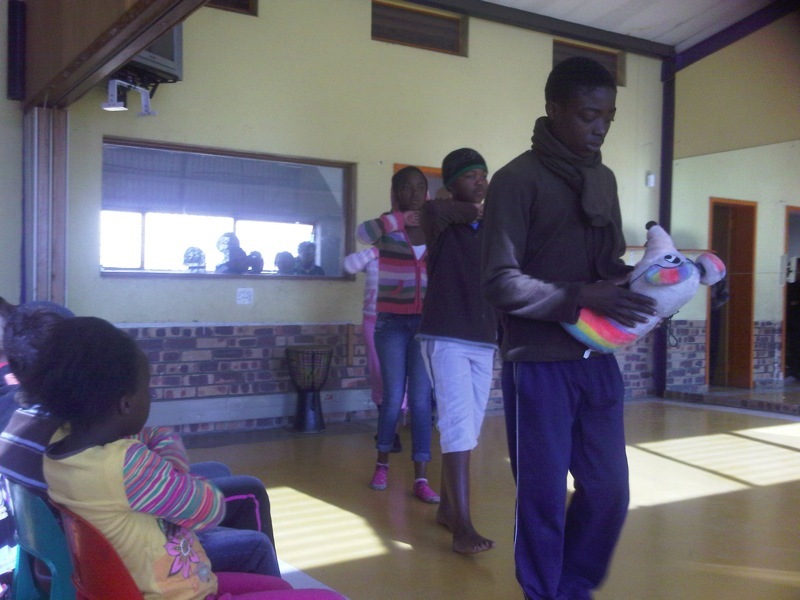 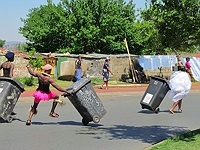 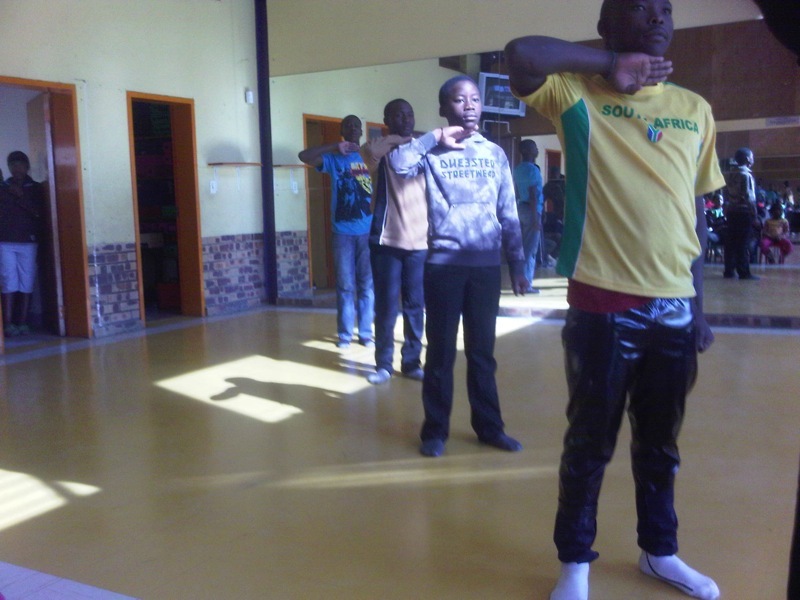 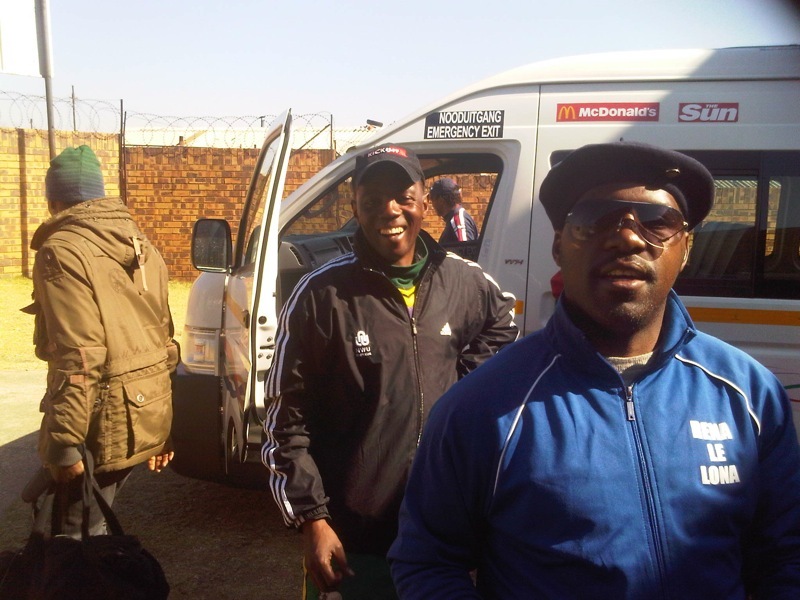 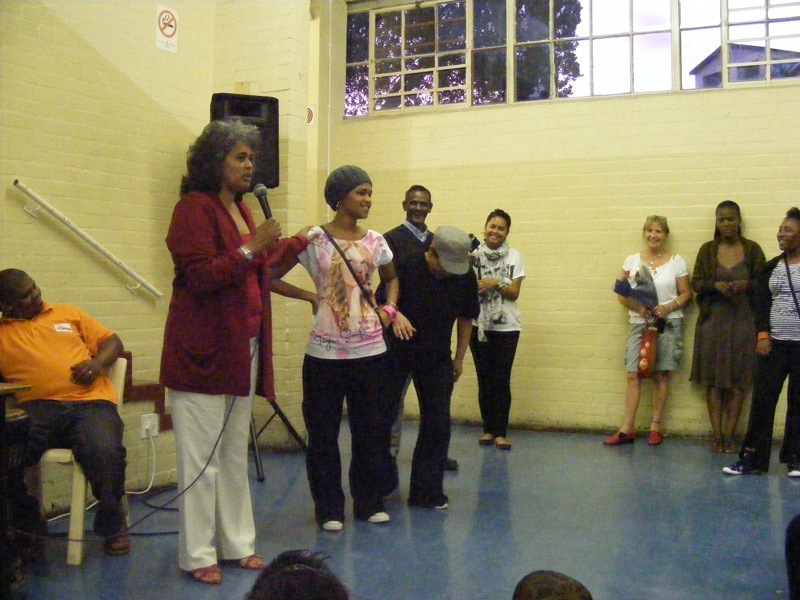 DANCING FOR THE CHILDREN has also provided a scholarships to MOVINGINTODANCE to support promising students from the townships to develop as dancers and choreographers , many former students have gained full time employment in Europe as well as South Africa . 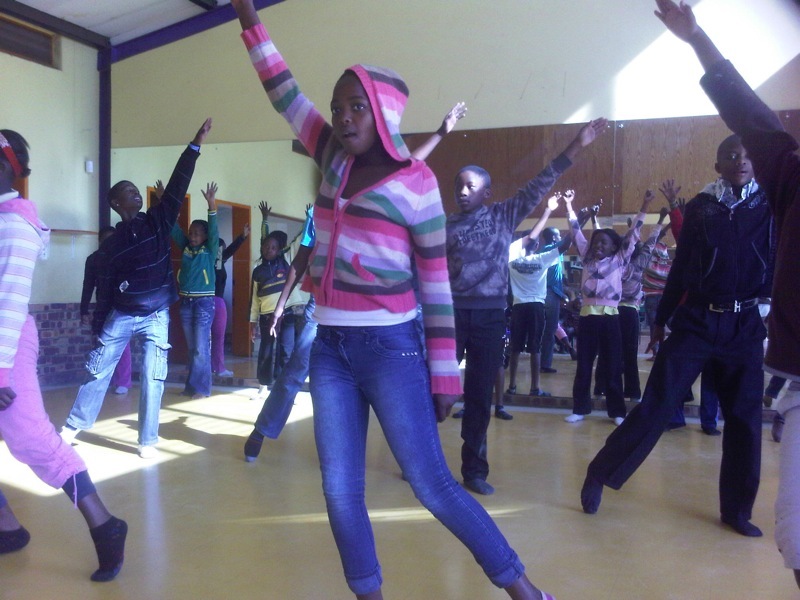 MOVINGINTODANCE has been the for-runner in contemporary dance in South Africa and we are proud to be able to support them as they take underprivileged children through to a future in 'dance'. 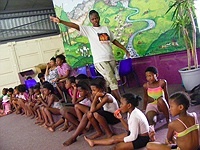 DANCING FOR THE CHILDREN have been sponsoring this tiny dance school located in the cape-coloured fishing village of Hout Bay just south of Cape Town since Mara and the dancers visited in 2007 . The energy and enthusiasm of these kids from the local village is breath-taking . 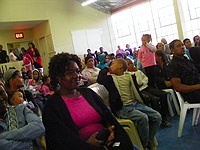 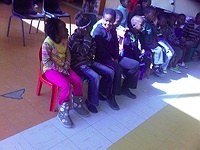 Photos below show the children at their annual awards gala in a little community hall in the village. 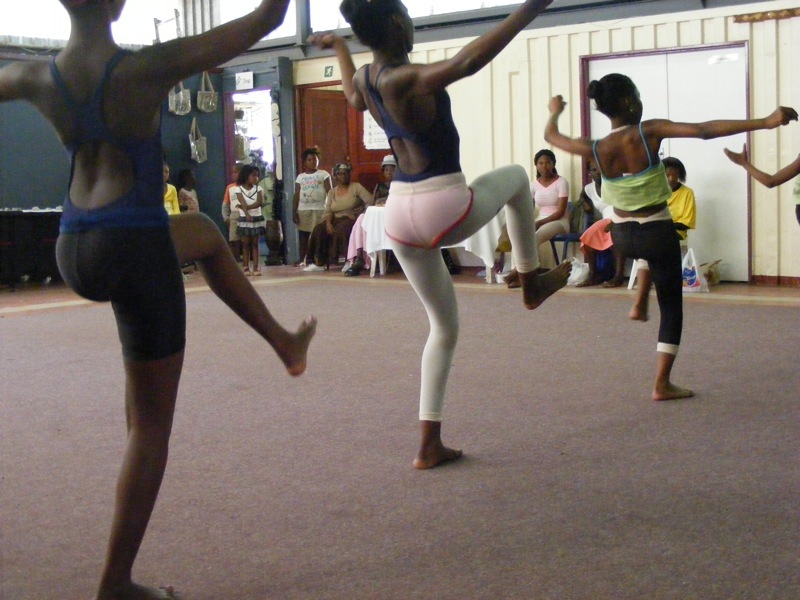 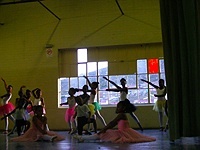 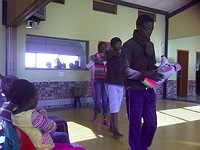 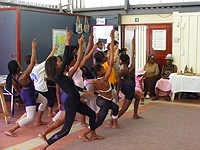 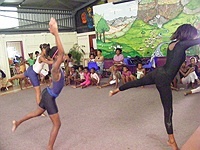 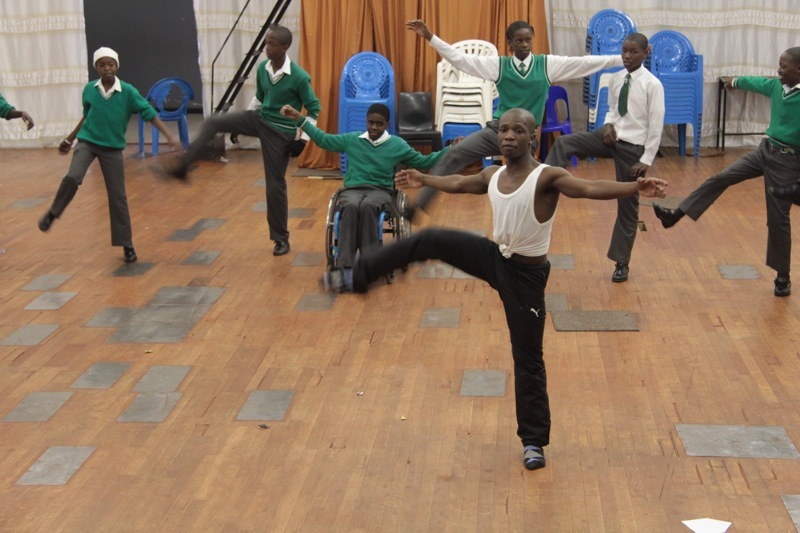 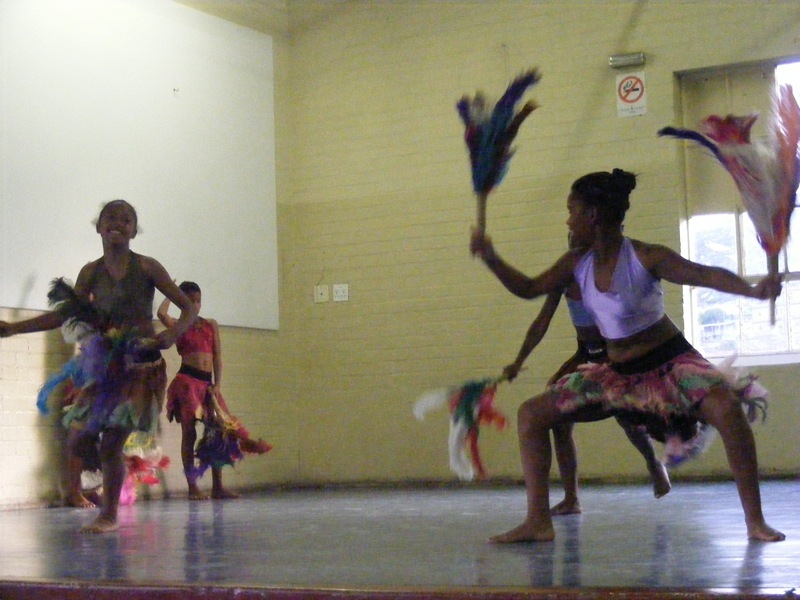 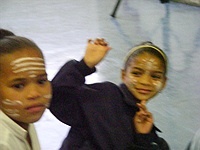 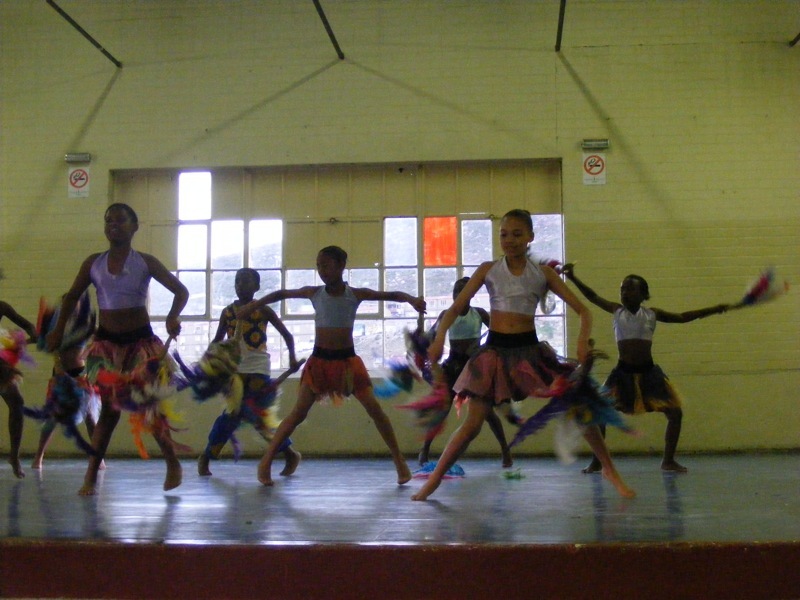 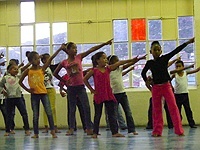 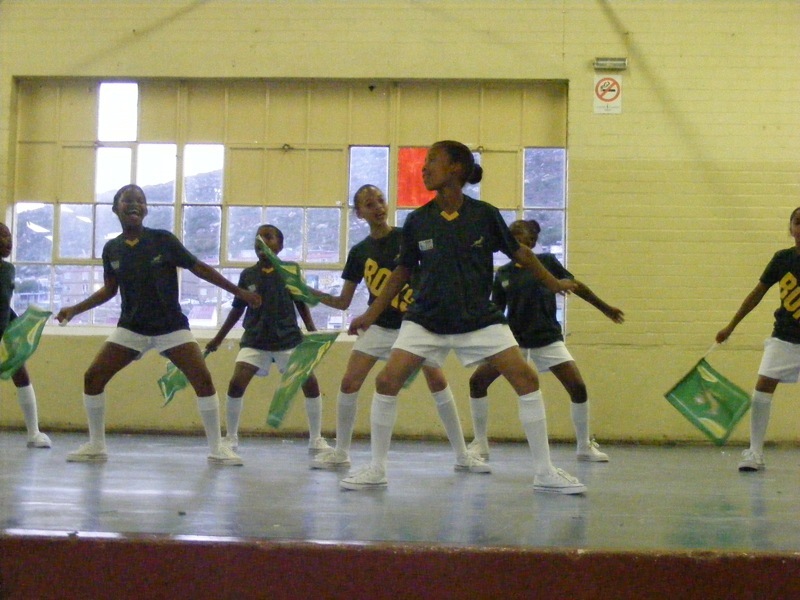 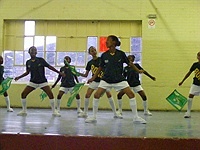 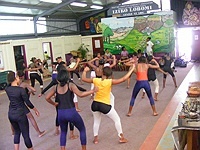 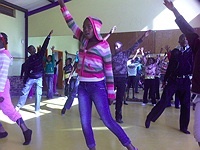 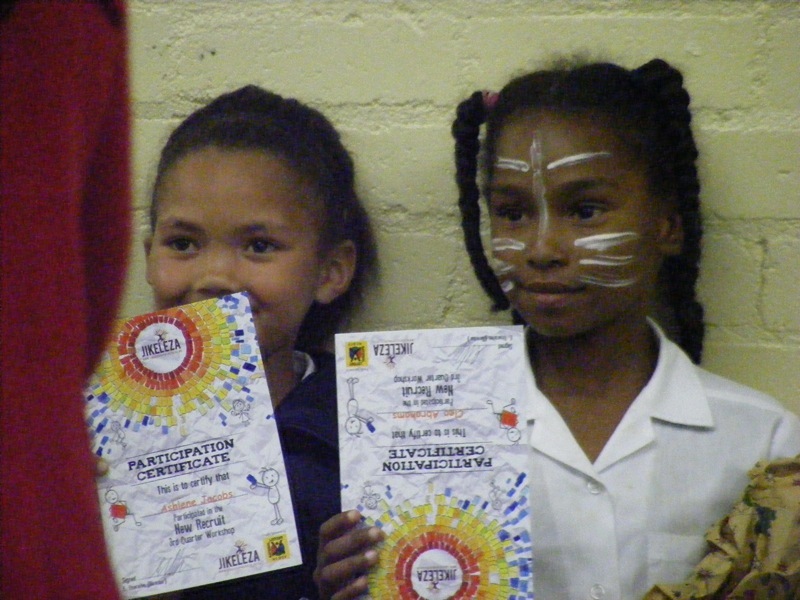 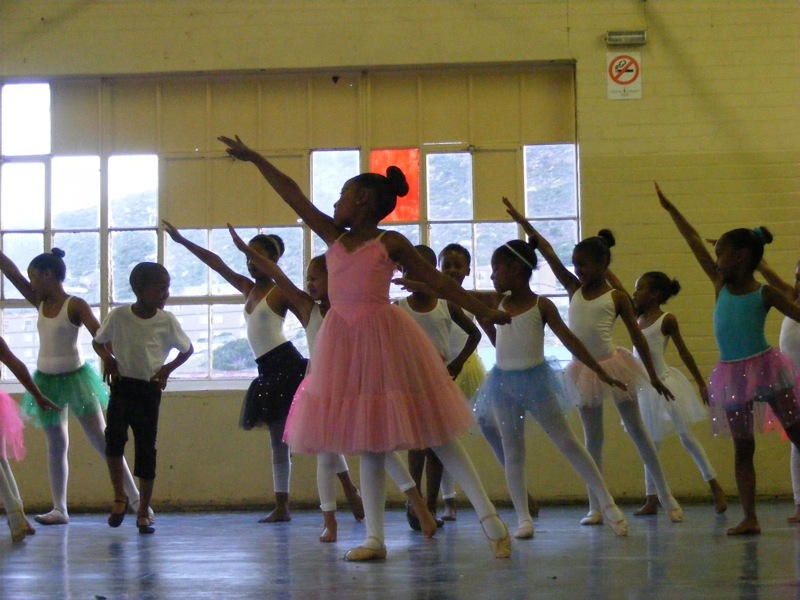 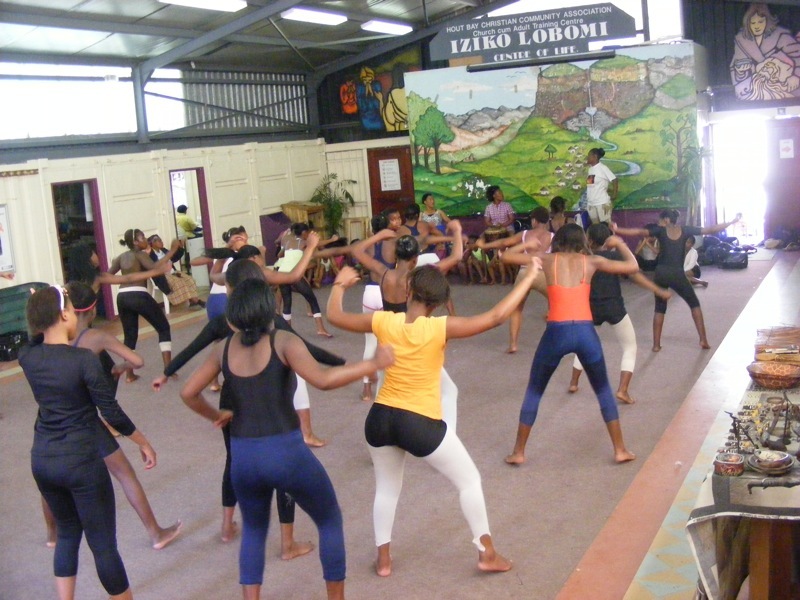 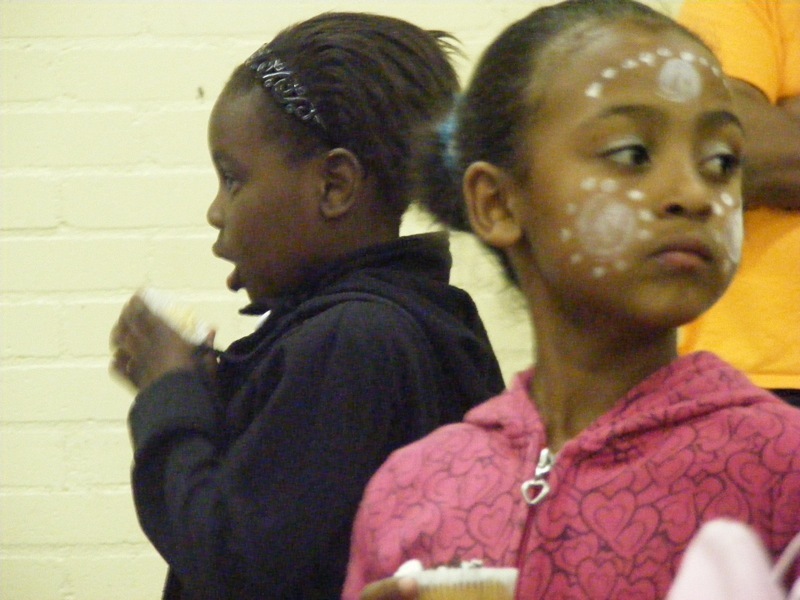 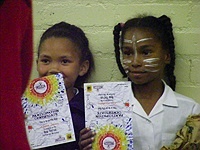 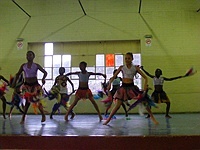 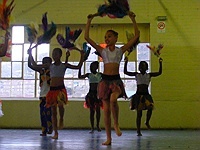 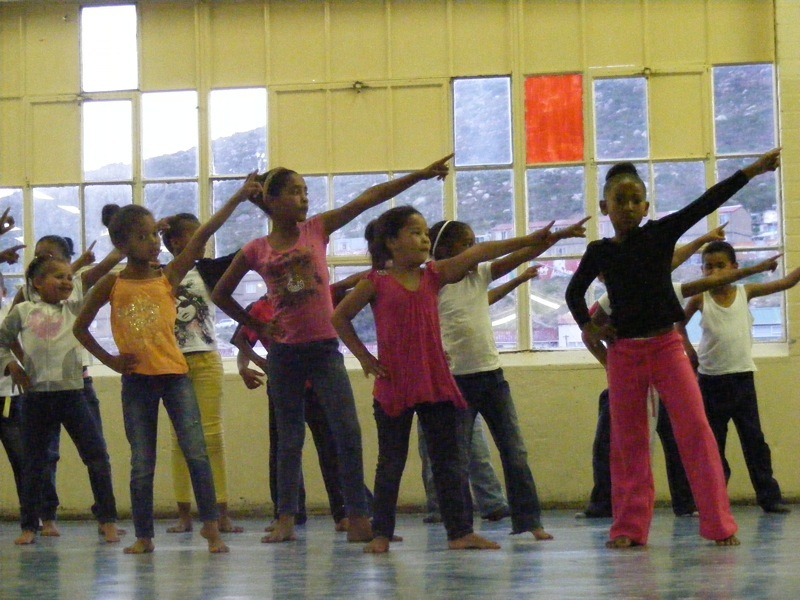 Students from this school have obtained positions in Cape Town City Ballet and European companies. 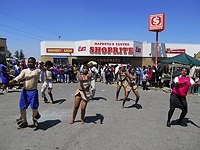 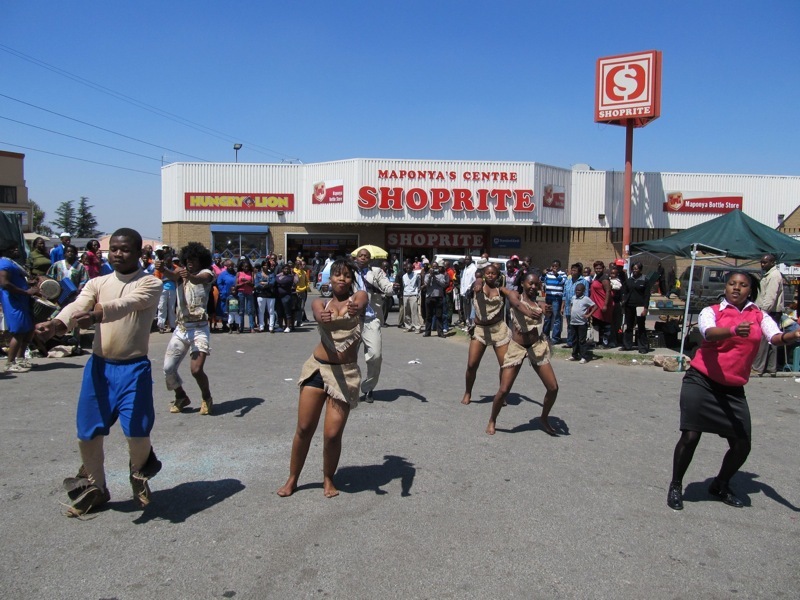 In 2011 we have also funded this schools ‘out-reach programme’ through which they send teachers out into the local township to teach dance. 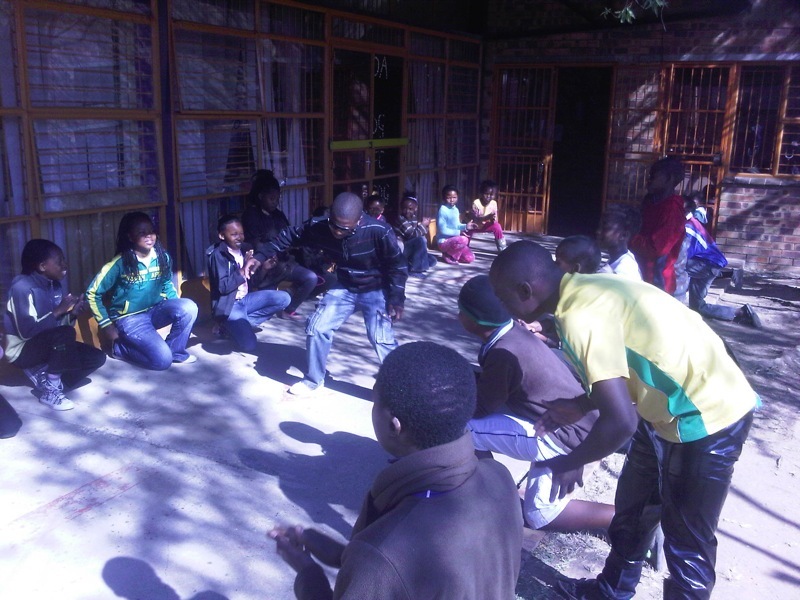 Baphumelele aims to provide orphans with a stable, loving and permanent home. 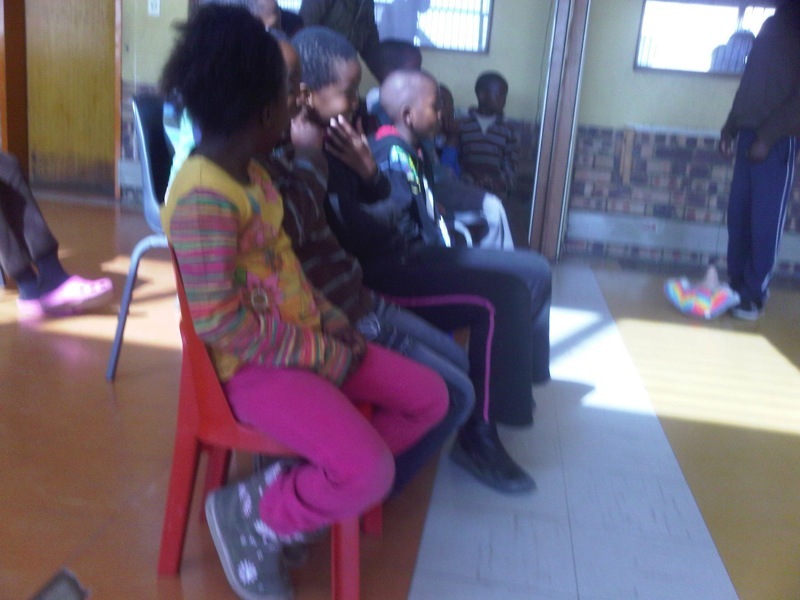 It also serves as a place of safety for children in crisis 24 hours a day. Children are sometimes brought to Baphumelele by the police or social services as a temporary place of refuge for a few days or a few weeks; others have been in Baphumelele’s care for years. Consequently the number of children staying at Baphumelele is always fluctuating, but tends to fall somewhere between 140 and 160 children. 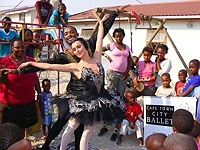 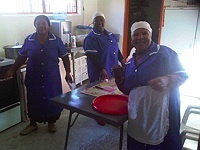 DANCINGFORTHECHILDREN has sponsored this wonderfull Orphanage since Mara visited it in 2007 , this year we have sponsored dance classes in the Orphanage by Cape Town City Ballet and we have also sponsored a new painting class in the Orphanage. 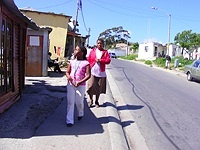 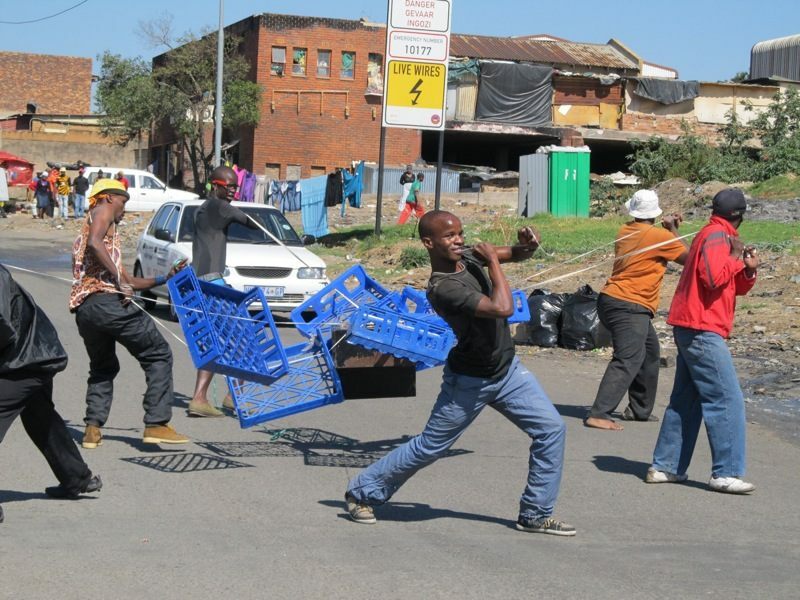 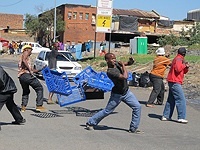 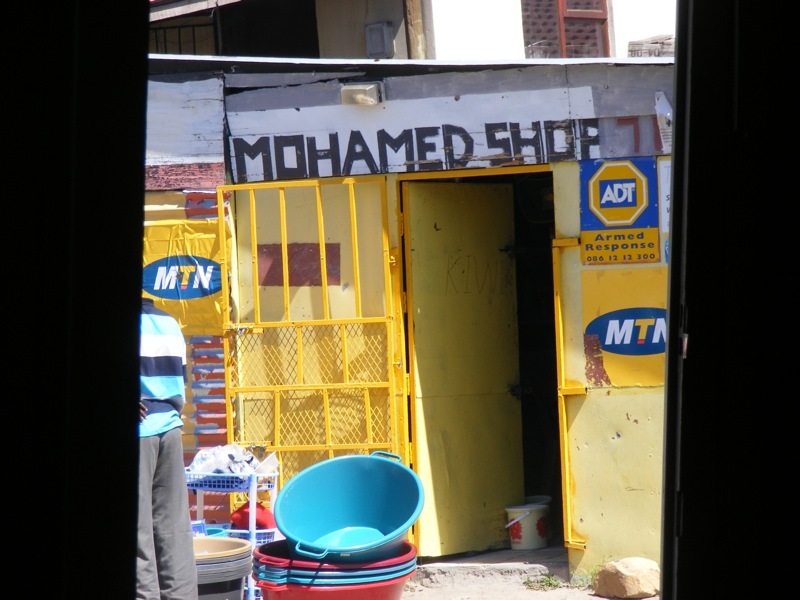 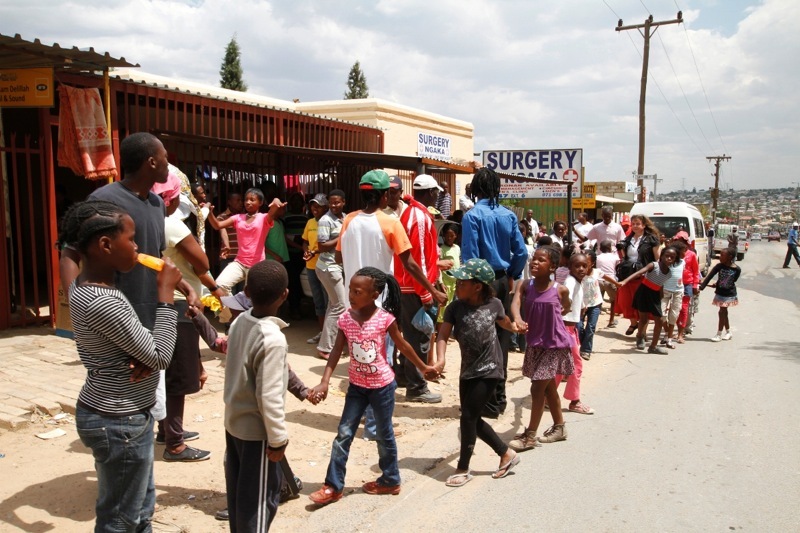 Khayelitsha is one of the most marginalised and poverty-stricken townships in South Africa. 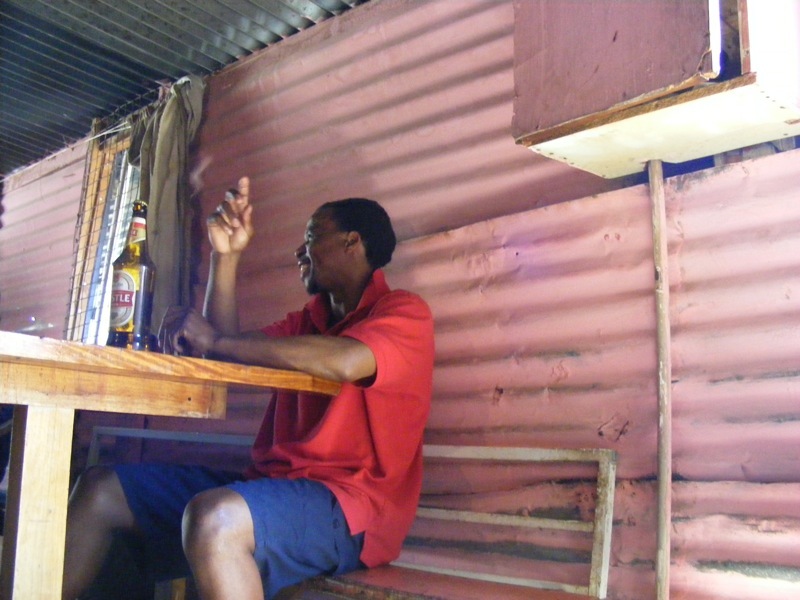 Many residents live in self-constructed wooden or corrugated tin shacks, without access to clean water, electricity, or sanitation. 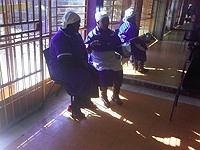 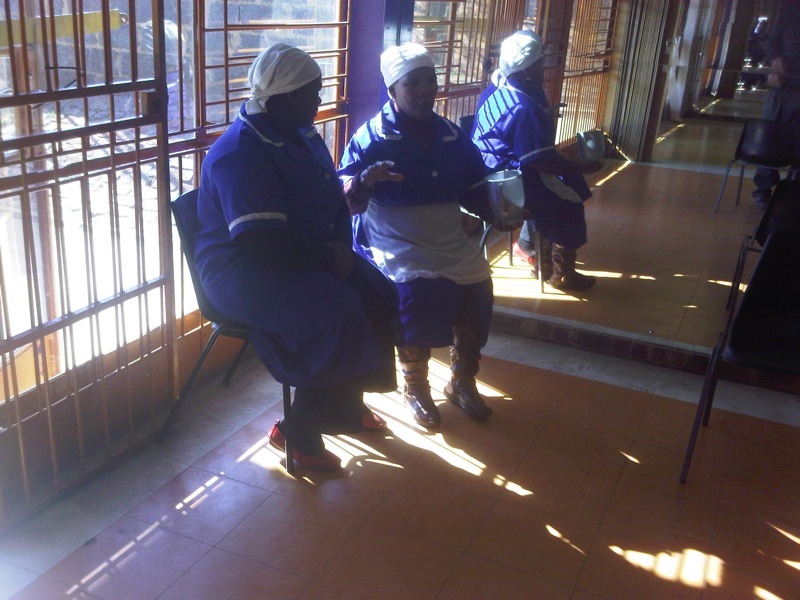 Basic education and health care facilities are lacking. The unemployment rate in Khayelitsha officially stands at a staggering 50%; in reality, the figure is unfortunately higher.